The use of open source software is recognized as a significant enabler for extending access to technology among underserved populations, a position the OSI has long promoted. Powering Potential exemplifies the OSI's vision for open source, serving as a model for others who wish to support communities challenged with too few resources, and through their remarkable achievements, as an inspiration of what can actually be done when communities come together. Such efforts have earned admiration across Tanzania, including from His Excellency Dr. Jakaya Mrisho Kikwete, former President of the United Republic of Tanzania. He has stated that, “This is the technology which we need for the rural areas." The OSI Affiliate Member Program (https://opensource.org/affiliates/about), is available at no-cost to non-profits; educational institutions and government agencies and independent groups with a commitment to open source - that support OSI's mission to raise awareness and adoption of open source software and to build bridges among different constituencies in the open source community. Powering Potential began in 2006, when Janice Lathen, a computer entrepreneur, traveled to Tanzania for a safari and visited a school. When the travelers were asked to introduce themselves, she did so in Swahili and the students burst into excited applause. She was deeply moved and decided to bring computers to the school. Then she learned they had no electricity. To date, Powering Potential has installed solar power to operate 122 computers in 29 schools in three districts impacting more than 10,000 students. The organization has received funding from the US Embassy in Tanzania, three Tanzanian entities, various foundations including IEEE, Newman's Own, Raspberry Pi, Segal Family and the International Foundation, and more than 400 individuals. You can learn more about Powering Potential at: http://www.poweringpotential.org. 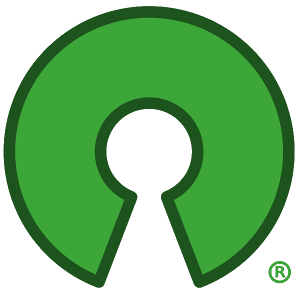 Founded in 1998, the Open Source Initiative protects and promotes open source by providing a foundation for community success. It champions open source in society through education, infrastructure and collaboration. The OSI is a California public benefit corporation, with 501(c)(3) tax-exempt status. For more information about the OSI, please visit: https://opensource.org/about.